When minister of science & technology Naledi Pandor returns from her international campaign for SA to host the €1,5bn Square Kilometre Array (SKA), she has a hard decision to make and she’ll need to make it fast, writes Marian Shinn. She must give clear direction on how astronomical facilities will be managed in SA and which entity will have the legal mandate to do this. This will be a pivotal decision as it will indicate whether scientists or bureaucrats will have the upper hand in managing government research facilities. The management of astronomy has all but stalled thanks to the breakdown in trust between scientists and the National Research Foundation (NRF), an entity of the department of science & technology that manages the national research facilities, of which the SA Astronomical Observatory is the jewel in the crown. The search for a new director of the observatory — a post that becomes vacant in September — has barely started and a recommendation on the future management of astronomy is still awaiting a decision. This uncertainty has delayed the appointment of a replacement for the retiring science director of the SKA in SA. In a response this week to a letter expressing my concern, Pandor has “instructed my officials to engage with the NRF to ensure that the selection and appointment process is finalised as soon as possible”. She said the appointment of a director of the observatory is “entirely within the current competence of the NRF and is not dependent on the outcomes of the process to fund a new home” for astronomical sciences. Whatever decision is made about the future management of astronomy, the legal framework will take years to formulate and implement, so Pandor will need to devise, and give authority to, an interim management structure soon. Current observatory director Phil Charles returns to the University of Southampton in September after seven years in charge. His post was advertised last November and, according to the recently published Review of the NRF’s Astrogeosciences cluster, the process to find a successor has not yet started. The major cause of this disruption was the foundation’s suspension last year of Charles on unknown charges — of which he was completely exonerated. I believe he was accused of insubordination because he ­questioned a unilateral decision by the foundation’s management. This drastic action by a politically connected bureaucrat against a scientist of international repute rang warning bells in the international astronomical community. Pandor’s attempt to get the foundation to back down was rejected and Charles’s disciplinary hearing proceeded to its conclusion, which was both embarrassing and damaging to the foundation. Pandor then instructed the foundation’s board chairperson, Belinda Bozzoli, to “fix this”. 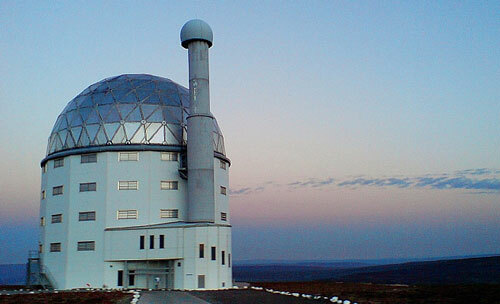 Bozzoli’s recommendation was that, because the relationship between the observatory and the foundation’s vice-president for research infrastructure and national research facilities, Gatsha Mazithulela, had broken down, the observatory would report directly to the president and chief executive of the foundation and that the minister should determine a new framework for the development and management of astronomical sciences in SA. Pandor appointed an “astronomy desk” last October to research and make recommendations on the future of astronomy. Headed by Manfred Hellberg of the University of KwaZulu-Natal, it submitted the framework report in March. Pandor said she received the report on 16 April and that her department is “considering the report to develop appropriate measures in response to the report and its recommendations”. Although the astronomy desk’s recommendations have not been made public it is fair to surmise that they are similar to those in the astrogeosciences cluster review. George Miley, vice-president of the International Astronomical Union, served on both. The review suggested establishing an SA national astronomy agency “under the direct purview” of the department and emphasised that it need not be a large body. It is clear that astronomers want to be divorced from the foundation and in control of the planning and administration of their research. Meanwhile, the foundation is about to start the mid-term revisioning process of its 10-year Vision 2015 strategic plan. This will include considering the establishment a new national facilities agency to ensure better clarity of mandate. This would need new legislation and, foundation management conceded, “may increase operational overheads”. It seems we are about to see a battle of scientific independence versus bureaucratic empire. Will the foundation’s management let the jewel in its crown — the observatory — strike out on its own? SA’s standing as a reliable host and an administrator of cutting-edge international research platforms is at stake. Pandor has a bold decision to make and she must know that if she allows best scientific practice to trump heavy-handed bureaucracy she will have the ­support and gratitude of our scientific community.